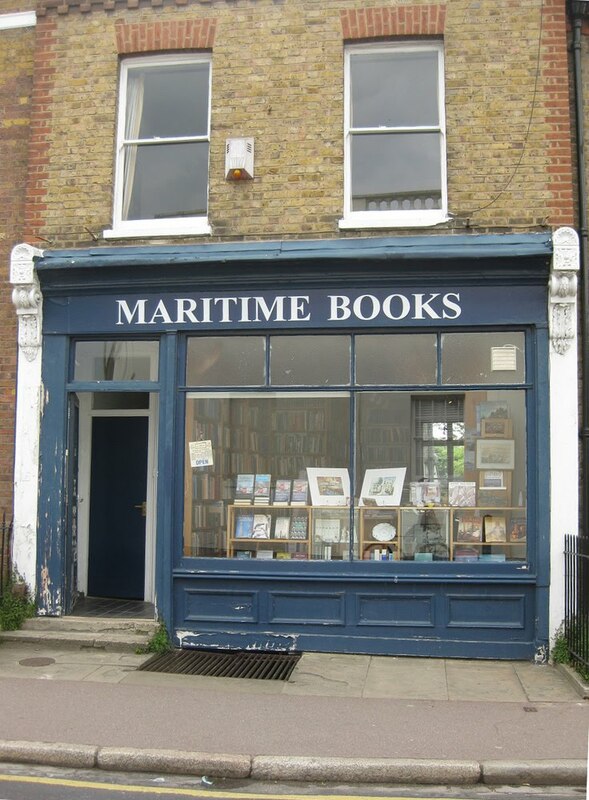 Maritime Books, on Royal Hill in Greenwich, is a bookshop specialising in all aspects of naval and maritime history. Originally established in North London in the 1970s, selling by catalogue, they first moved, rather more fittingly, to Greenwich in 1984, setting up shop in the historic surroundings of Greenwich Market. Two moves of premises later, they have settled at 66 Royal Hill, Greenwich in 2005, and have now expanded their offerings to include related material such prints. The shop is open from 10am until 6pm, Tuesday-Saturday, and also deals on the internet at through catalogues. 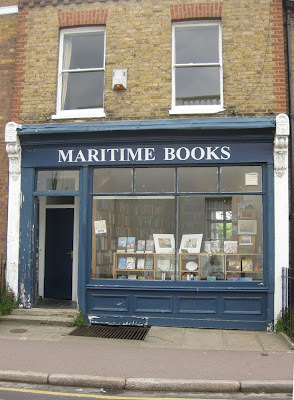 So, if you're seeking hard to find, out of print, used, or rare naval and maritime books, you know where to go. Having somewhat of a nautical bent this is one of my favourite shops in London. They have everything from *very* specialist military stuff right through to anything ever written by Alan Villiers. The staff are suitably knowledgeable and make a very welcome change from the Starbucks style customer service you might expect at bigger, more famous-brand bookshops. If you have an interest in all things to do with the sea I recommend a visit! Great to have your input Mark.